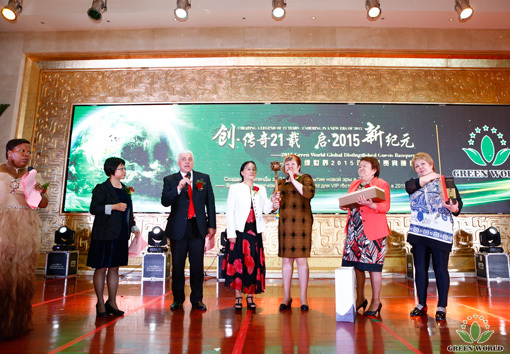 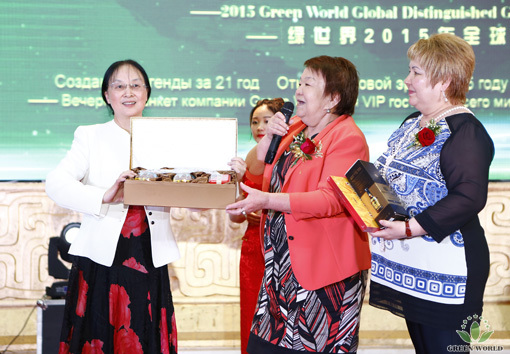 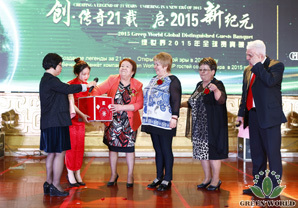 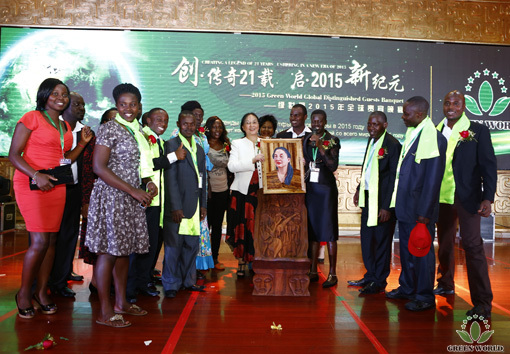 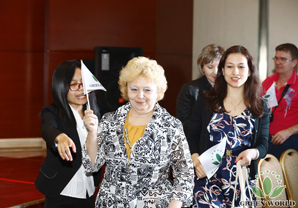 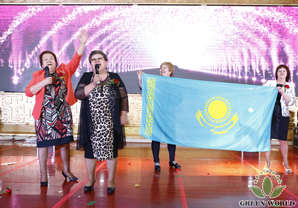 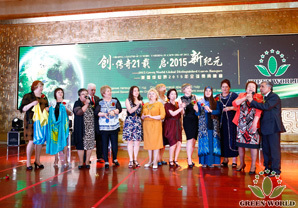 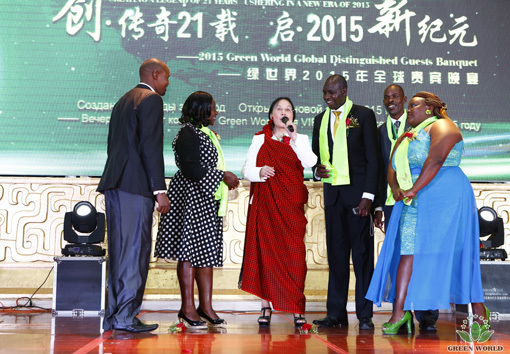 On April 18th, 2015, the luxurious banquet with marry songs and laughter, exquisite wine and delicious dishes brought in the 2015 Green World global distinguished guests banquet in the Bolong Lakeview Resort of Tianjin, China. 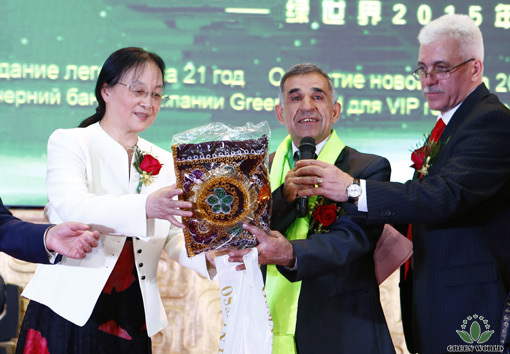 Leaders and distinguished guests such as Dr. Deming Li, president of Green World Group, Mr. Yanguo Chen, vice president of Green World Group and president of Green World Eurasian Region, Mr. Taotao Wang, president of Green World China Region, Ms. Ying Liang, general manager of World (Tianjin) Nutrition and Health Food Co.,Ltd. 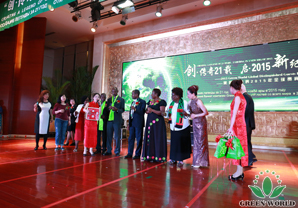 attended the banquet along with over 400 Green World distributor leaders from 19 countries in China, Africa, Eurasia, South Asia regions enjoying delicious food and wine and fantastic entertainment performances to jointly celebrate the grand feast of Green World! 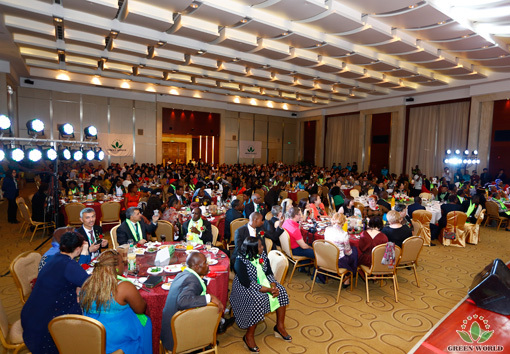 The grand banquet venue was luxurious in every way and Green World leaders from each region worldwide took this good opportunity to meet in China, which made this banquet a family reunion feast and also a ceremony of Green World setting out in the new era of 2015! 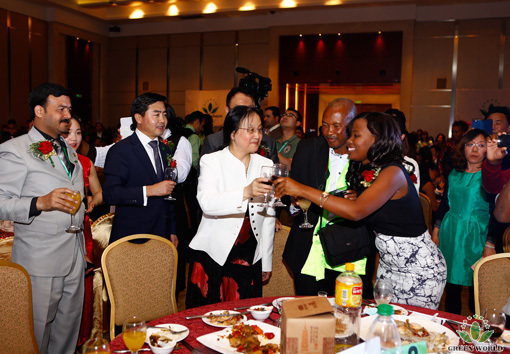 At 5 p.m. the grand banquet started officially. 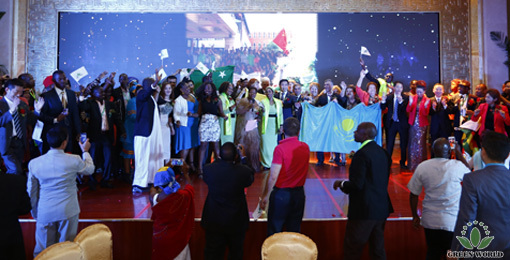 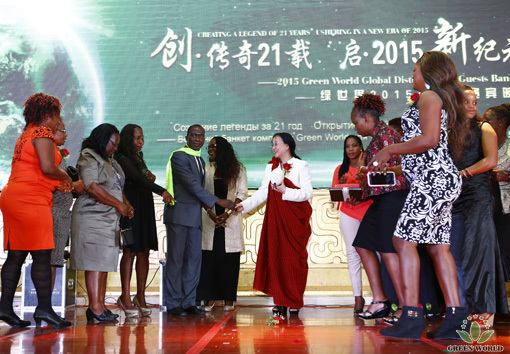 Green World leaders from all over the world and the enterprise executives from the headquarters and each region entered into the hall. 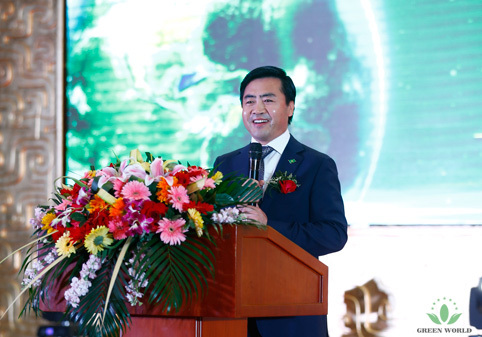 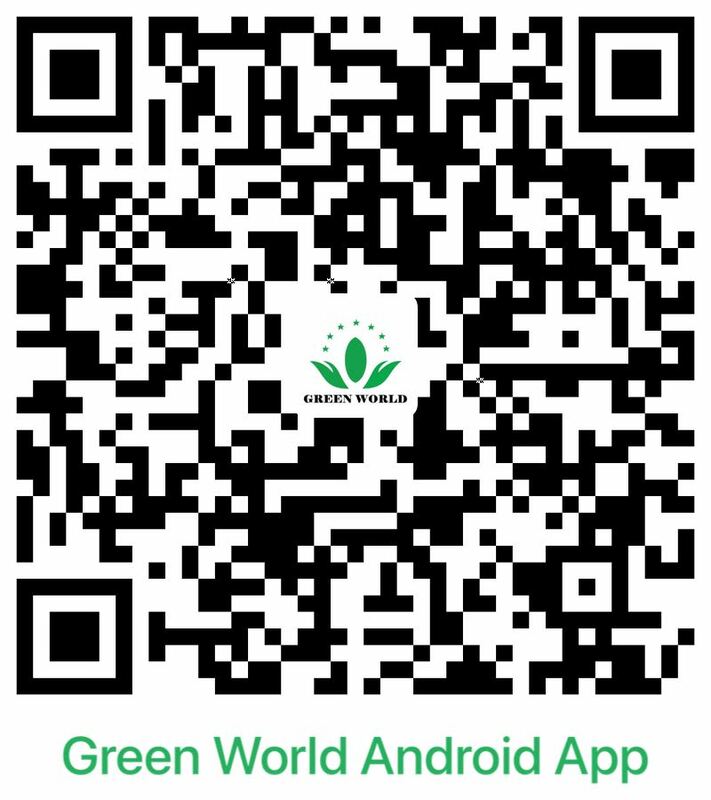 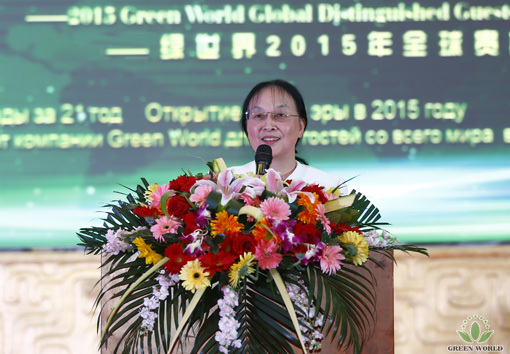 Under attention focused by millions of people, president Dr. Deming Li, family head, cause leader and pilot of Green World Group, walked into the venue, the prolonged applause expressed the admiration and esteem from all Green World leaders. 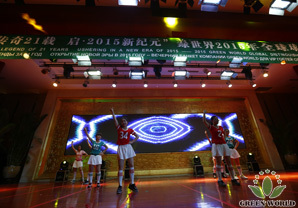 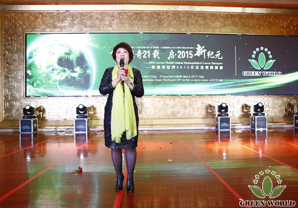 Instantly the enthusiastic atmosphere filled the whole banquet venue. 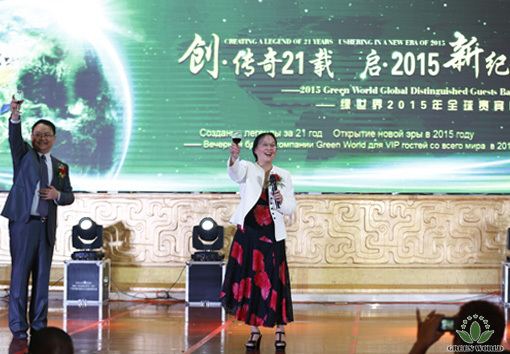 Dr. Deming Li, president of Green World Group, made a speech at the banquet, in which she expressed that 2015 will be a year of fast development for Green World Group and we will accelerate the construction procedure worldwide, and we will have not only Nanjing production base in China and the USA base, but also the cosmetics base in Indonesia, also Green World Group will increase the support and investment in domestic as well as international market. 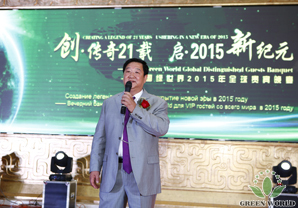 Dr. Deming Li¡¯s passionate address made all guests and distributors cheer with excitement. 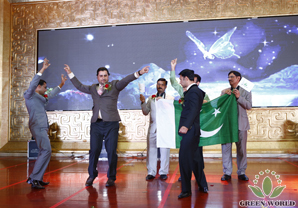 Distributor leaders from African Region, Eurasian Region as well as Pakistan presented excellent performances for this grand banquet. 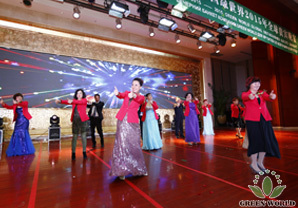 They dressed in exquisite costumes bring melodious songs and jubilant dances and added to the glory for the banquet with their refine artistic form which made every present Green World people enjoy the exotic cultures. 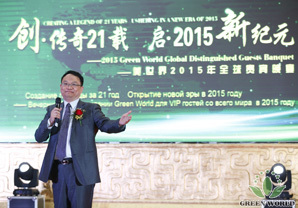 China Region excellent distributors made a brief yet excellent sharing on Green World products and exhibited their prominent and elegant demeanour to all present Green World distributor leaders! 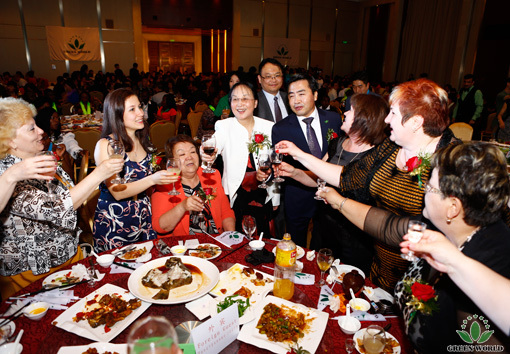 Happy time is always short and the banquet came to a closure in the happy laughters and cheerful voices. 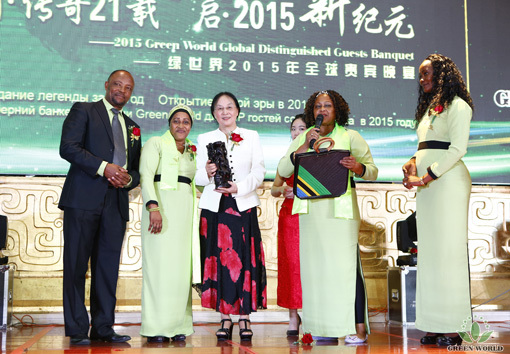 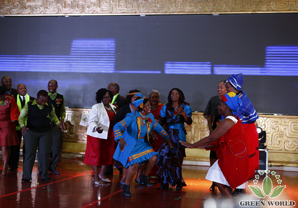 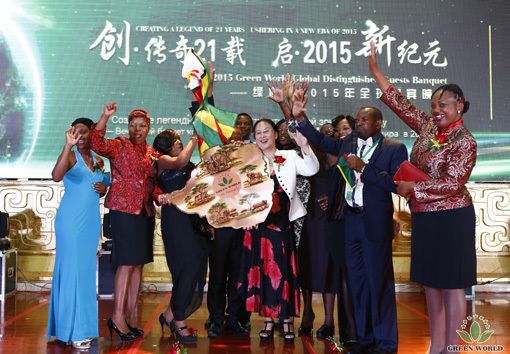 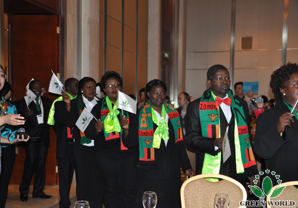 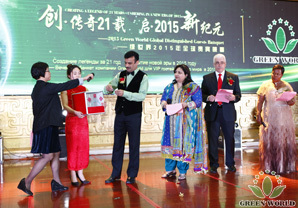 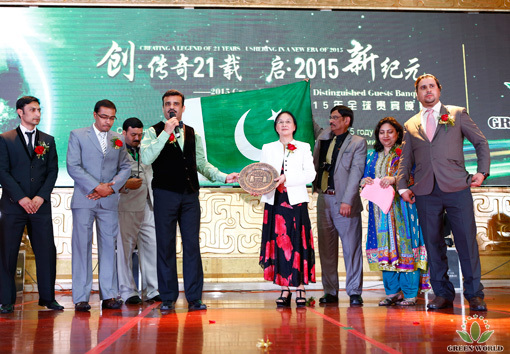 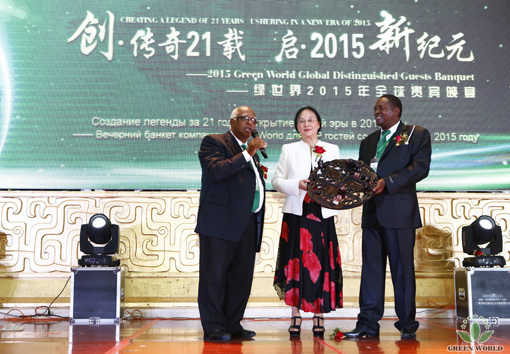 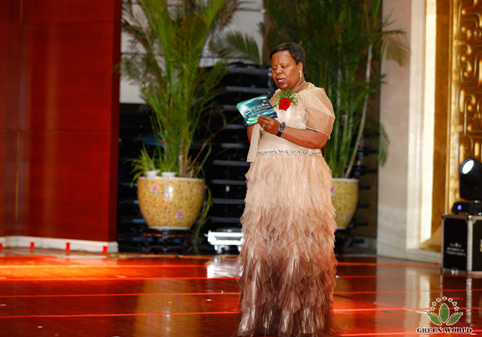 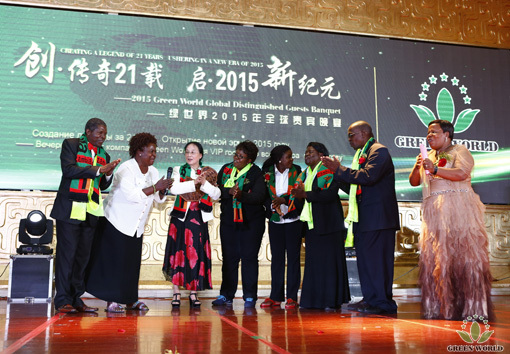 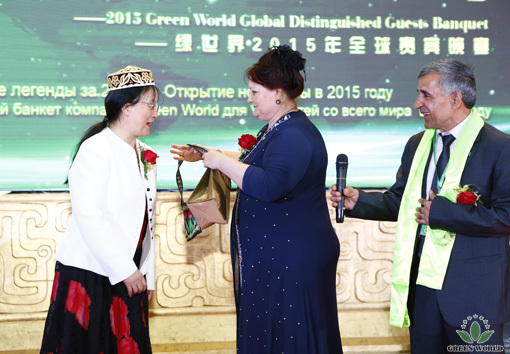 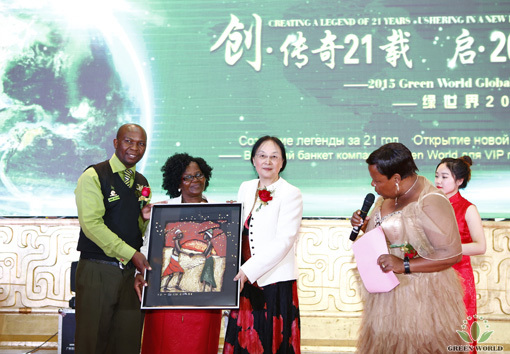 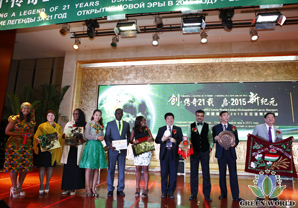 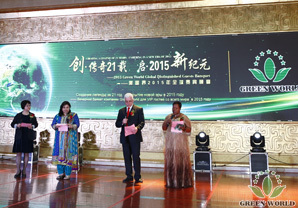 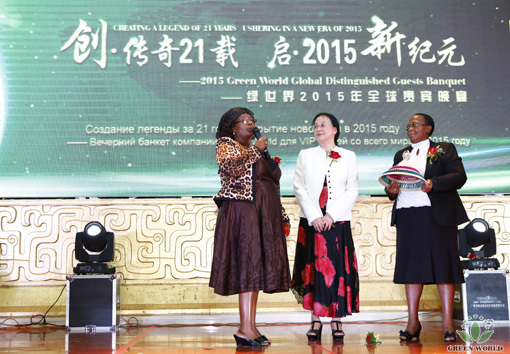 Thus 2015 Green World global distinguished guests banquet came to a complete success. 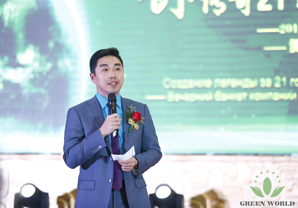 The beautiful night added brilliance to the present splendor of the Green World business of all present Green World elites. 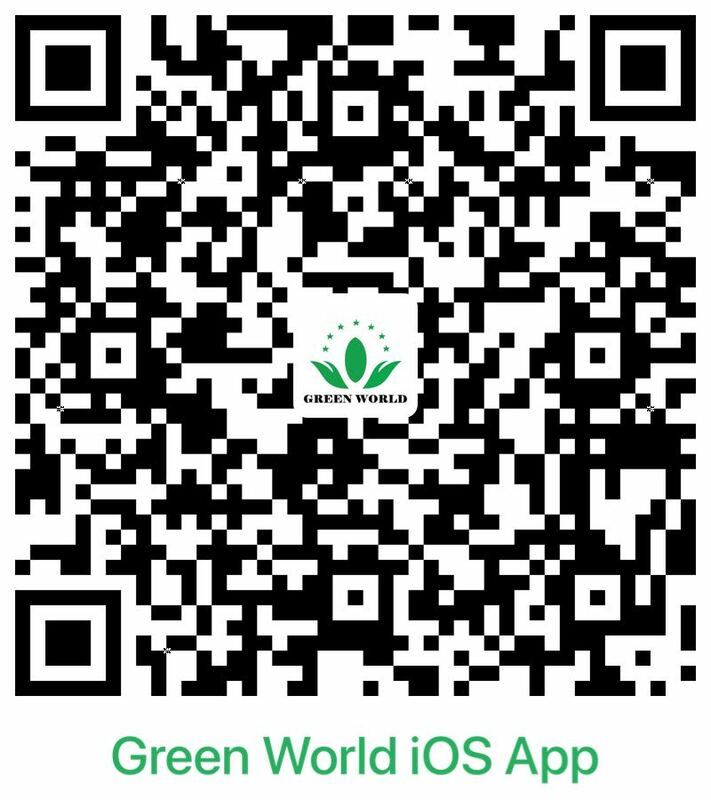 The 2015 new era of Green World Group has been lifted and let¡¯s look forward to the perfect voyage of Green World Group!